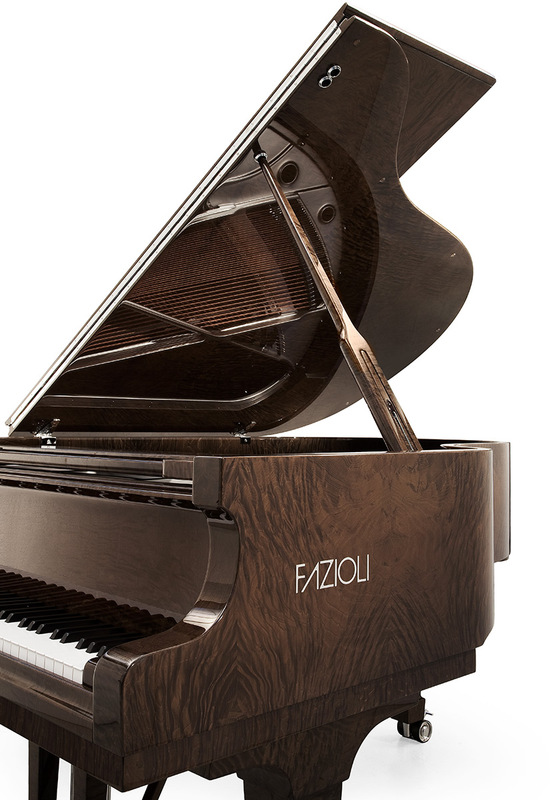 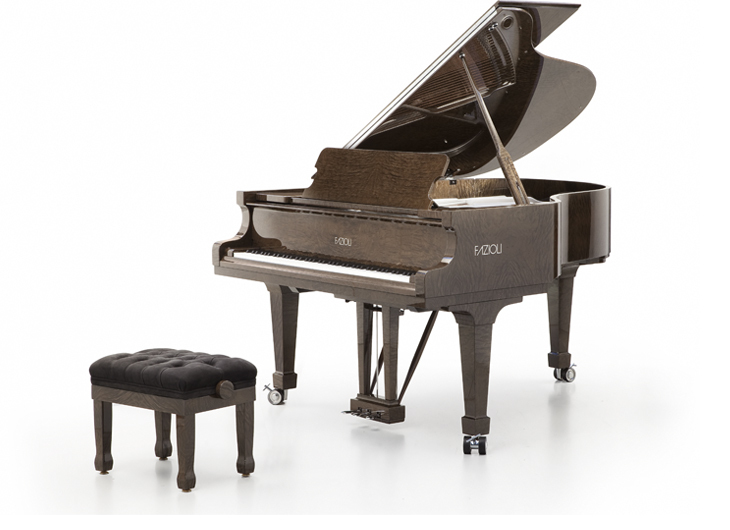 Designed by Robert McKay and conceived for the spectacular location of Lloyd Bruce Home Collections in Coal Harbour, Vancouver, this exclusive piano is made of a precious tamo veneer. 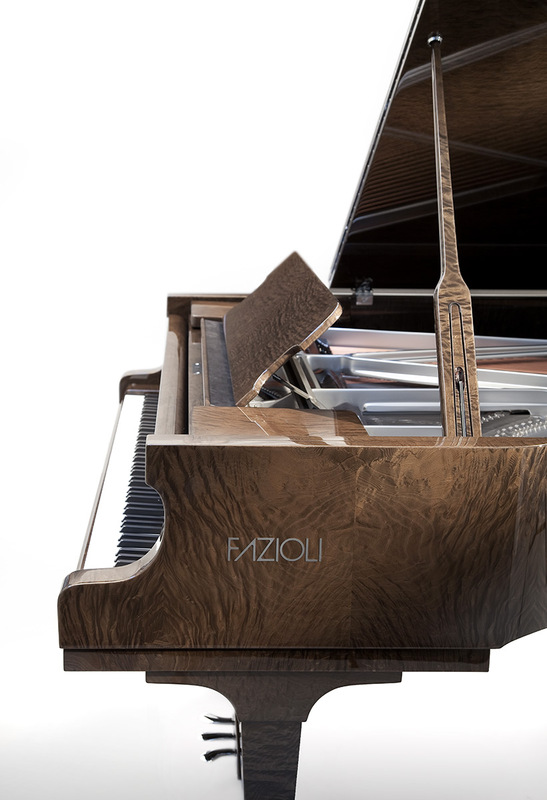 This finish, combined with the silver colour of the iron frame, logos, pedals and other metal parts, gives particular warmth, elegance and light to the project. 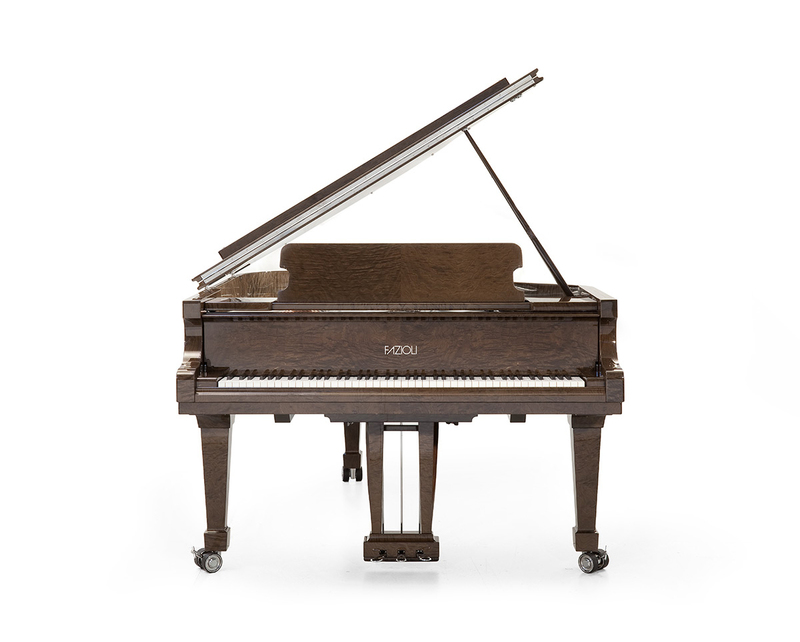 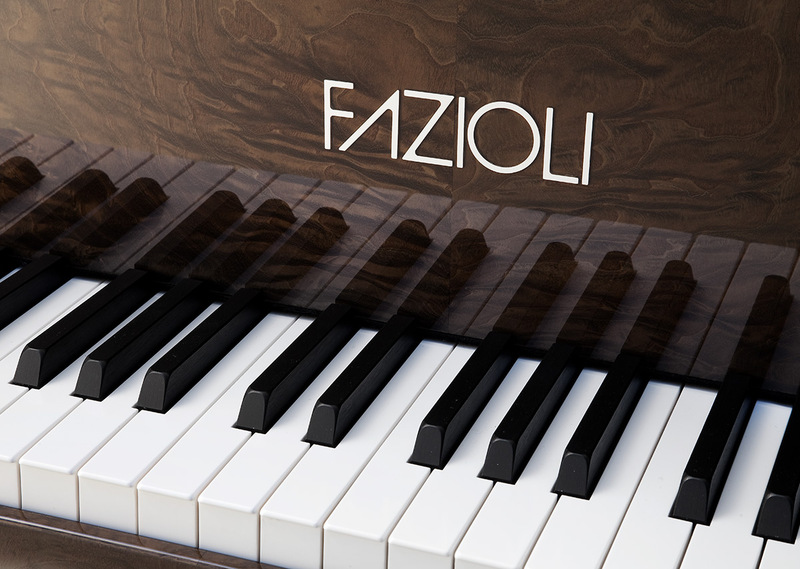 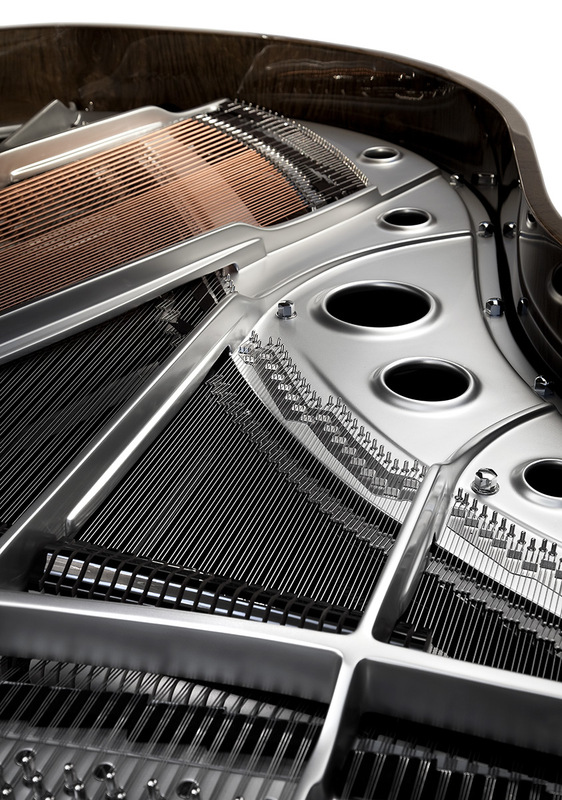 The technical files present on this website represent only a selection of the many special “Art Case” pianos built so far. 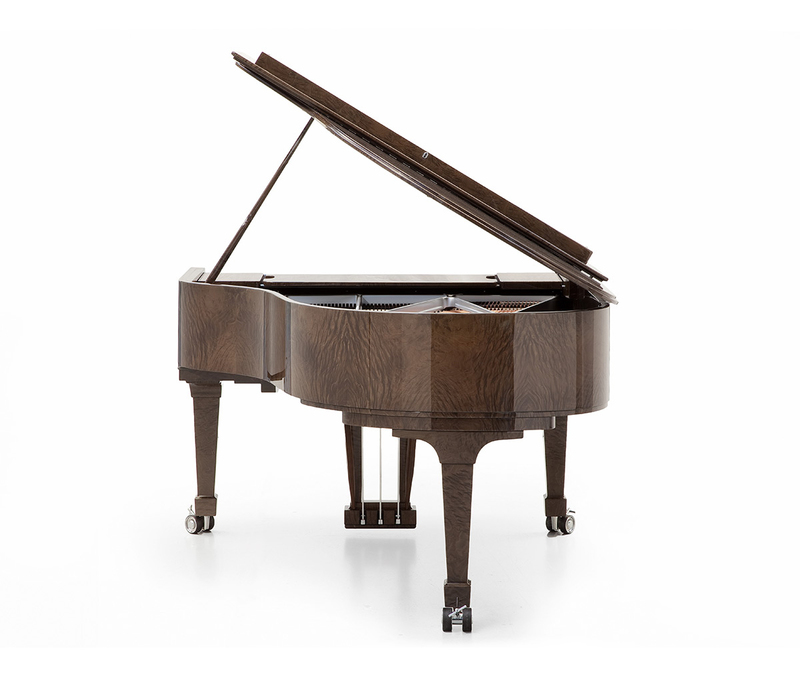 Since wood is a natural product whose features are unique and unrepeatable, the veneers visible in these pictures are purely indicative and non-committing with regard to future creations.